Fantastic brushes are the key to applying mineral makeup - and we have them. Not all synthetic brushes are created equally. 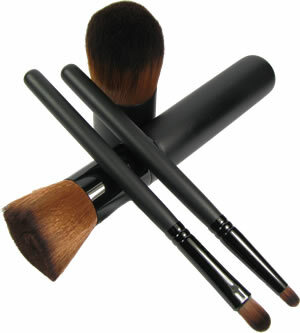 Each brush is specifically selected for use with mineral make up. They pick up color well and deliver a soft and smooth application. Synthetic bristles are hypoallergenic and safe for sensitive skin. They clean and dry quickly, are extremely durable and do not shed.